CoastTec, the exclusive national provider of recertified APC UPS units, has released findings from its recent survey among network systems managers nationwide. The survey polled current CoastTec customers and inquirers to the CoastTec website who identify themselves as the decision-makers regarding their organizations’ UPS management. The third key reason for buying recertified is the green factor. A growing number of participants, 38% up from 22% the prior year, cited environmental concerns in their decision to buy recertified UPS units through CoastTec. CoastTec’s reuse of well-functioning parts from inoperable UPS units saves an estimated 50,000 lbs. of electronic waste monthly from ending up in landfills. Of value to today’s “green” CIOs and systems managers is just-released news that, for the second year in a row, CoastTec has been awarded R2 Certification. The Certification recognizes strict adherence to the best environmental practices established by SERI (Sustainable Electronics Recycling International), the organization that administers the Responsible Recycling (“R2”) Standard for Electronics Recyclers. SERI’s mission is to promote safe and sustainable electronics reuse and recycling worldwide, helping to develop policy that protects the environment, human health, safety and the security of the recycling process. Interestingly, the 2015 Survey revealed an “intention-attention” gap. 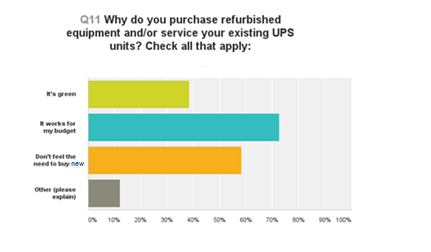 A fourth of the respondents said they service their UPS units proactively. Yet, most respondents, 74%, revealed they only address UPS issues via replacing or servicing at the time when units fail, not proactively. Of these, a majority admitted their action differs from their wish to be proactive rather than reactive. Under the CPP(Comprehensive Protection Plan) umbrella purchase order, servicing or replacing is done simply through email notification with no new P.O. necessary. As CoastTec repairs and replaces units for a client, CoastTec automatically tracks each unit. That way, over time, all units in a company’s fleet are identified by location and life stage. Servicing and budgeting for replacement units can be largely predicted before a problem develops. 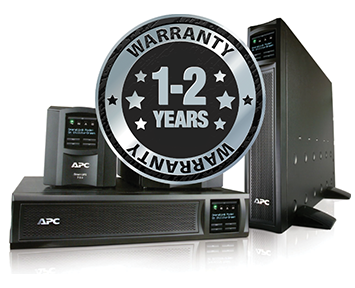 About CoastTec: For more than 25 years CoastTec has been setting the industry standard for reconditioning and repairing single-phase APC Uninterruptible Power Supplies (UPS) and is the only APC-certified out-of-warranty service center in the United States. All of CoastTec’s work is performed by their own team of engineers and APC Certified repair technicians. Working with small, mid-size and large businesses, CoastTec’s clients represent a cross-section of industries from around the country. To learn more about CoastTec, visit www.coasttec.com or contact Jon Sevel with any questions at jsevel@coasttec.com or (410) 521-1000.